Low style is not the same as clean style or bad style. Low is the vernacular, clean can be a default look, and bad actually works against the design. Someone somewhere probably has expressed this better with different terms, but lacking that knowledge I'm running with it. Low style and low cost -- giving the perception of a Flea Market -- can be good. These are not value judgments, but judgments of value. 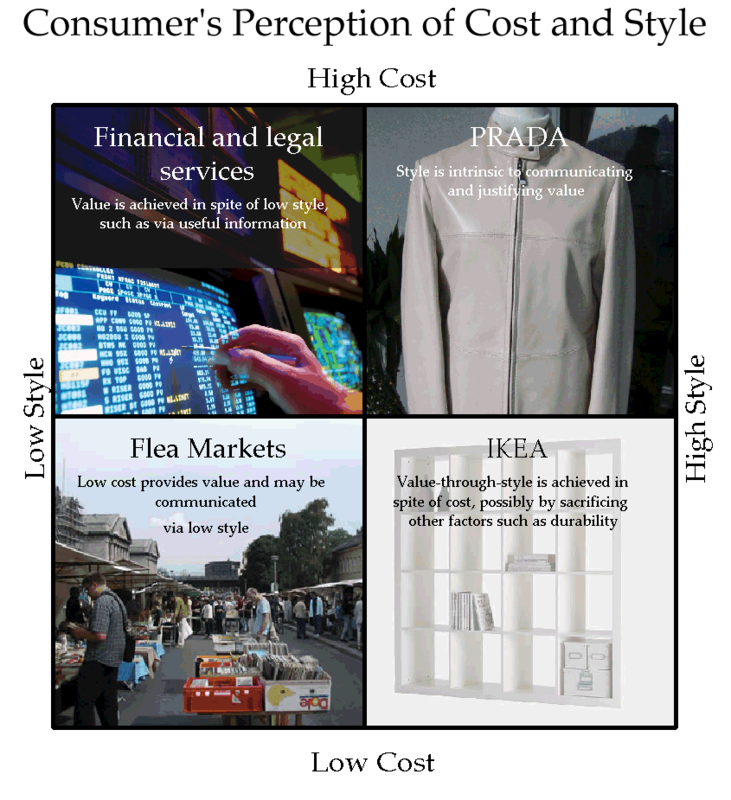 Organization and classification is often secondary to other factors that communicate value, such as style and cost. It's a bit rough, but could turn into a fun little tool to clarify product design and marketing ('Which quadrant are you in? They'll all good, but different.'). Might be nice to create a book of them, including ye ol' value-complexity matrix.